There are two wildfires reported burning in Mason County. According to the State Department of Natural Resources, South Puget Sound Region Dispatch, the first fire, called the Gibbons Creek Fire, was reported at 5:35 PM Sunday and is located southwest of Lake Cushman. The Gibbons Creek Fire is burning bush and slash in what has been described as “several miles past the High Steel Bridge” and has reportedly burned two acres. The second fire, called the Fly Net Fire, was reported at 12:49 PM Monday and is located southwest of Eldon/northwest of Lilliwaup. The size of this blaze is not known at this time. 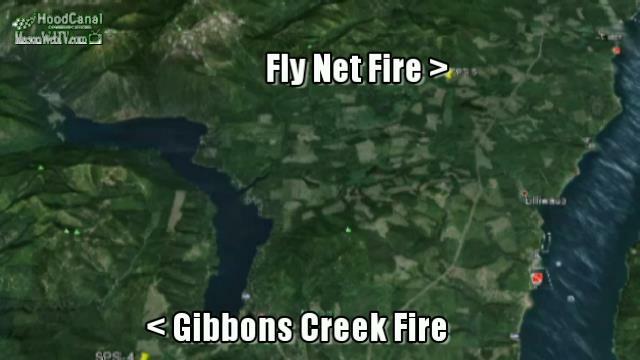 A crew is on the scene of the Gibbons Creek Fire and a crew is en route to the Fly Net Fire.